As applied behavior analysis (ABA) therapy continues to be mandated for coverage for treatment of Autism Spectrum Disorder, parents and their child’s treatment team must take preventative measures to ensure the continuity of care. By utilizing a multifaceted approach, parents and clinicians can work together to reduce the risk of those variables that impede access to care. 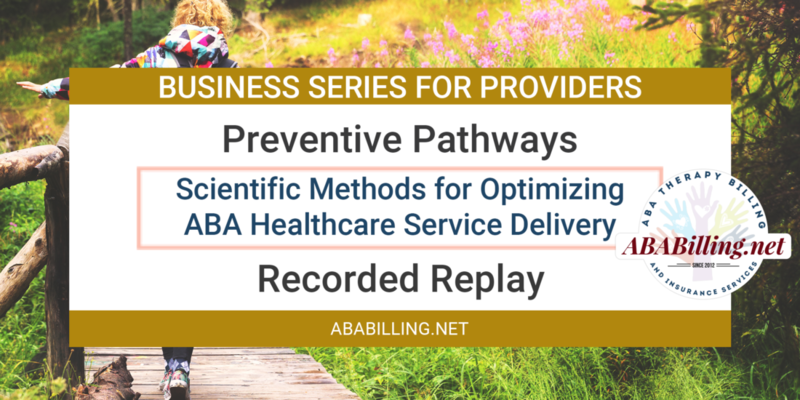 The webinar is geared towards teaching BCBAs how to make sure that they are taking into consideration all the factors that contribute to writing plans according to the model of medical necessity, in alignment with evidence based standards of care, according to our code of ethics, while providing suggestions to do this in systematic way. It will last two hours.